India's trade ministry has proposed that the government delays by a month the imposition of retaliatory tariffs on some US goods that were due to go into effect from April 1, a trade ministry spokeswoman told Reuters on Friday. Indian officials believe India could lose its preferential treatment in early May. 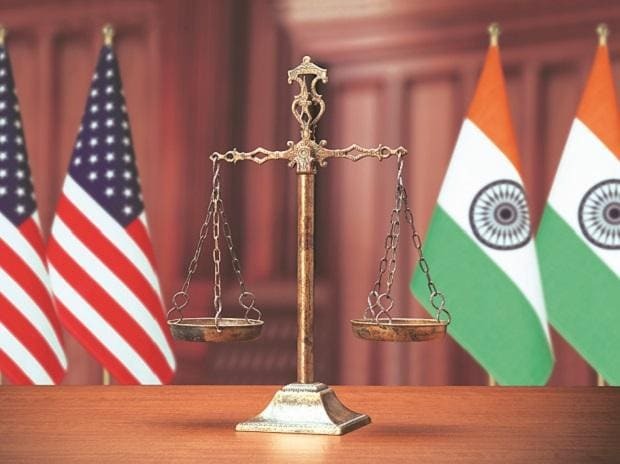 The Indian government has asked the US administration to review its decision, two government officials with close knowledge of the matter said. In June last year, India said it would increase import duties varying from 20 per cent to 120 per cent on a slew of US farm, steel and iron products, angered by Washington's refusal to exempt it from new steel and aluminium tariffs. "The Ministry of Commerce has requested the Department of Revenue to extend the deadline for imposition of tariffs on US goods by another 30 days," the spokeswoman said. India is the world's largest beneficiary of the Generalized System of Preferences (GSP), which dates from the 1970s. Trump has criticised India for its high tariffs, and the dispute has widened over investment policies such as new rules on the e-commerce sector that led to the US pulling the plug on India's vital trade concessions. "India is obviously upset. But what can we do? Can we stop trade? You are importing oil, gas, defence equipment and aircrafts and nuclear energy. The stakes are much larger," one of the officials said. If the United States eliminates duty-free access for about 2,000 Indian product lines, it will mostly hurt small and medium businesses, such as engineering goods. The number of items qualifying for preferential treatment could be reduced, or the whole programme could be withdrawn. A leading Indian trade body official said both the US customers and domestic suppliers could be hit in some categories of engineering products where clients typically enter into long-term contracts. "Some of the low value exports of engineering goods are likely to face competitive pressure from other suppliers, with China being one of the major ones," Gupta said.